If I wasn’t a fan of Asian dramas before, several of 2015’s shows would have converted me. It’s been a good year. Although I watched some great Thai, Japanese and Chinese drams, for this end-of-year post, I’ll just be focusing on Korean dramas. I’ve done the research (by watching a lot of them! ), and I’m sharing my personal favorites with you. Choi Siwon as Kim Shin Hyeok gives this drama life. When he’s on screen, the drama goes from black and white to Technicolor. I’m not often a second lead kinda girl, but he stole my heart with his bigger than life personality and charm. The writers don’t make it easy on us viewers. The combination of their writing a great character and Siwon’s acting ability and charisma made it hard for me to root for anyone else, especially the rather frustrating male lead (sorry, Park Seo Joon! I like you, but your character just couldn’t compete!). Kim Shin Hyeok is the true star of this drama. 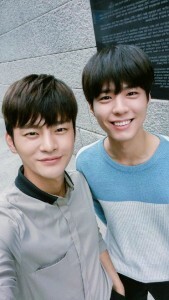 Seo In Guk’s and Park Bo Gum’s characters are brothers in I Remember You, and they’ve got my vote for the best bromance of the year. I was riveted by every scene they were in together. This is how good Park Bo Gum is – his character is a murderer, yet I found myself rooting for him more than for the leads. He has an ability to draw you into the story and his character’s plight. Park Bo Gum stole every scene he was in. And then there’s the smile that lights up his face – and the room. This guy is charismatic and talented. I’m looking forward to seeing him in more dramas. Kim Seul Gi plays the virgin ghost in this drama. At first, her character rubbed me the wrong way, but very quickly, Kim Seul Gi’s great comic timing and cute appeal won me over. By the end of the show, I loved her character and was sad to say goodbye to her. Part of that is the writing, and part of that is the talent and charm of Kim Seul Gi. This is a good drama that she makes even better. Lee Yoon Ji, Jang Ji Eun and Ryu Hwa Young are the three ex-girlfriends in this drama. This is one very funny show, and this trio of actresses had me laughing my pants off and loving them to pieces. Sure – they make it hard for the OTP to be together, but every good storyline needs some hiccups in the road to keep the story from being boring. And these ladies prove to be anything but boring! I recommend this show for them, their antics and the comedy that ensues. If you need a laugh, this show is for you. Perhaps I’m influenced by how much I love Healer. All I know is that I was sucked into the world of Chae Yeong Shin (aka Park Min Young), and I never wanted to leave. She has a beautiful combination of determined bravery and vulnerability that – although seemingly at odds – creates a memorable, authentic and completely appealing female lead. Yeong Shin is like a breath of fresh air. Plus the chemistry she has with her leading man is off the charts. As a viewer, I totally understood why the male lead falls head over heels for her. As spectacular as he is (oh, and he is! ), she is just as lovely. Park Bo Young essentially plays three characters in this show – and all are so believable. 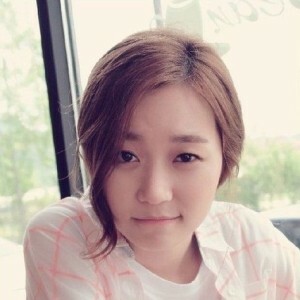 Initially, her character is the shy, timid Na Bong Seon, who is then possessed by a flirty, gregarious virgin ghost. Park Bo Young matched the mannerisms of the actress who played the ghost, Kim Seul Gi, really well. Toward the end of the show, her character, Na Bong Seon, has grown into a confident, charming girl. Park Bo Young plays all of these parts seamlessly and effortlessly. She is cute as a button – and incredibly talented. I’m in awe of Ji Sung. He should have won mass awards for this role. His character has multiple personality disorder, and he has to play seven distinct personalities, which he does believably and well – often with hilarious results. This has to be one of the funniest dramas of 2015. There were times I laughed so much while watching this drama that I got funny looks from those around me. Ji Sung aced the humorous moments, along with the poignant ones. 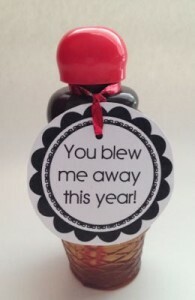 He exceeded my expectations; in fact, he blew them out of the water. He is a brilliant actor. 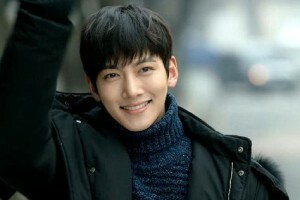 Ji Chang Wook has such an expressive face. I found myself mesmerized as I would see the emotions flicker across his features. He conveys his love for leading lady Yeong Shin through intense, longing gazes – his love is so transparent, it’s breathtaking. In this drama, he plays the super-hero-like errand boy, Healer. Under that persona, he reveals a vulnerable and adorable Seo Jung Hoo to his leading lady and his awesome genius hacker partner, Jo Min Ja (aka Kim Mi Kyung – loved her in this role!). For a time in the show, he also goes undercover as bumbling Park Bong Soo. He flows through all three characters with ease, which goes to show how talented he is. He’s the dashing Healer, and she’s his endearing, lovely leading lady. This drama gives us so many moments to relish this couple together. To quote my earlier review of this drama: “It’s clear they are each other’s ‘safe space.’ I could write chapters on all the ways these two interact and support each other – how they are there for each other in big ways and small.” Many of this couple’s scenes have become rather iconic – the heart-melting rooftop confession; the hat-covering-her-eyes kiss; when she finds his hide-out and takes care of him (I could have this scene on repeat for all time it’s so lovely). Thank you, writers for giving us so many beautiful lines. Thank you, Ji Chang Wook and Park Min Young, for giving us an unforgettable and totally lovable OTP. You are the well-deserved couple of the year. It’s them against the world. 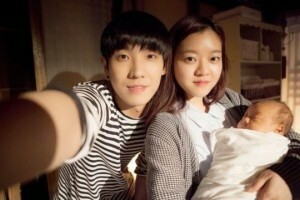 Seo Bom (aka Go Ah Sung) and Han In Sang (aka Lee Joon) are one of the most unique couples of the year. The drama starts out showing these two academically smart and focused teens secretly dating. When she suddenly disappears from his life, he’s visibly upset. He finally finds her – discovering she’s pregnant with his child. Drama ensues as he takes her to meet his family, and she goes into labor at his house. His family, being affluent and influential, want to call all the shots in their relationship. Against all odds, these two lovebirds find a way through the difficulties and choose each other time and time again. These two insanely talented actors portrayed a sweet young love – at times awkward, at times mature beyond their years – that touched my heart. This two-episode drama should have been longer. I just wanted to continue watching it! Kim Seul Gi as Jang Dan Bi and Yoon Doo Joon as King Se Jong Yi Do are so charming together! I’ve watched this show twice now, and I can’t get enough of it. I love that there’s an authentic touch of Korean history in it, but mostly I love it for the chemistry and adorableness of the OTP. I realized I had a silly smile plastered on my face throughout the entire show. It’s the kind of drama that colors the rest of your day with a sense of bliss and contentedness. This will be on my re-watch list for a long time to come. Yeah – this one is pretty subjective on my part since I like EXO. But this show would not be on this list if it hadn’t been as cute as it turned out to be. The lead actress, Moon Ga Young, is darling. Although I didn’t buy Chanyeol as a cranky alpha lead, he is still freaking adorable (as evidenced by the cute scene in these pics). And of course DO is perfect as second lead (talented actor that he is). Sehun’s bromance with Jang Yoo Sang cracked me up. Frankly, this show charmed the heck out of me. Both of these dramas were so good, I couldn’t decide between them. So, this one, ladies and gentlemen, is a tie! God bless the writers and the director and the producer – and most of all, the actors. This is hands-down one of my all-time favorite dramas. The story itself dragged a bit, but all the other things to love about this drama made up for it – the thrilling action scenes, cool tech-savvy ahjumma, the leading lady’s awesome dad, and of course, the most lovely OTP of the year. Great writing, talented acting and undeniable chemistry led to some memorable scenes that are burned into my memory for all time. I’ve re-watched this show, and it doesn’t lose its value over time; the amazing scenes still tug at my heartstrings and make me happily breathless. That’s what makes a great drama. Shin Se Gi, I fell for you, too. This is one epic drama, created by excellent writers, great acting, and skilled directing. Among the things I love: Ji Sung and his brilliant acting; the hysterical bromance between Oh Ri On (aka Park Seo Joon) and one of the multiple personalities, teen girl Ahn Yo Na; the OTP’s chemistry and interactions; the very funny leading lady; the intriguing storyline; the hilarious antics that made me involuntarily cackle in public places (much to my embarrassment). Honestly, I could go on and on. There was not a dull moment. I was a fully engaged viewer breathlessly awaiting whatever would happen next and dying all week long until the next episodes were posted. There’s just not enough good to say about this drama. It is truly a highlight of 2015. Falling for Innocence – skilled actor Jung Kyung Ho as investor Kang Min Ho gets the award for most dramatic personality transformation. I hated his character at the beginning of the drama (seriously, I was wondering how I could ever like him as the lead to the point that I even considered dropping this drama). Within a few episodes, though, his character starts to grow and change – from hateful and vengeful to cute and appealing. I now consider him one of my favorite male leads of the year. Ho Goo’s Love – this is on the list because the male lead (Choi Woo Shik as Kang Ho Goo) is a true B Lead-type nice guy who actually gets the girl (yay!). He is so charming and lovable, and this unusual romance is one of my favorites of the year. Mask – this has got my vote for one of the best stories of the year. All the elements – writing, directing, acting, production value – came together to create an intriguing plot that kept me fascinated every episode. So, that’s my (rather exhaustive) list. Thanks for taking the time to check it out! What do you think? What are your favorites of 2015? Super cute and Great Job!! Thank you, Jade! 🙂 Glad you liked it! Couldn’t agree more, HariaHaria! Ties when it comes to the best Kdramas just means more happiness to be had. 🙂 Thanks for reading my post!